I am currently on tour with Aida Cruise Lines and not in the local area. I am still accepting bookings for November and December 2018, as well as after August 2019. Please e-mail me whereas I am not available by phone.  Andrew Silver is Maine's professional variety entertainment artist. 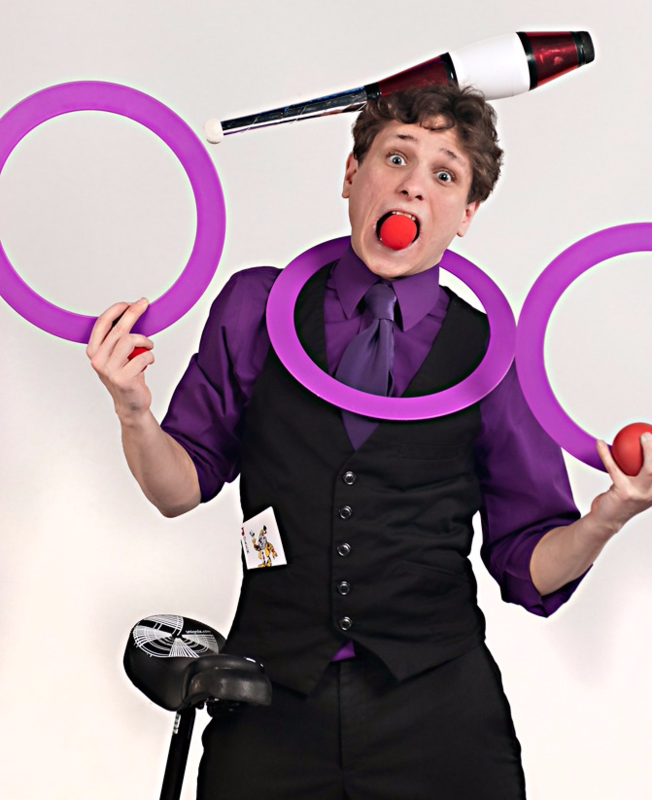 He transforms a private party or corporate event into an extraordinary entertainment experience with his unique blend of magic, juggling, and physical comedy. You'll be delighted by his humorous, high-spirited showmanship, mystified by his astonishing magic, and his dexterity is guaranteed to take your breath away. Years of practice, coupled with his uncanny nimbleness, have cemented Andrew Silver’s reputation as one of Maine’s leading magicians and jugglers. In addition, his versatility and keen sense of timing as a comedian are making him a legend as a professional variety artist. By adapting techniques and themes from the new vaudeville clowns, Andrew has created a masterpiece of modern performance for every age level. He uses his skills as a performer to shine new light on modern life by addressing topics ranging from advertisement and social media, to health and psychology. Join Andrew as he explores these ideas with his cunning whimsy and playful curiosity. Turn any event or special occasion into a memory that will last a lifetime! In addition to his stage appearances, Andrew also offers his services as a teacher of the performance arts. Suitable for both kids and adults, he teaches classes in magic, juggling, and more! He offers private lessons and workshops for any individuals or schools who are interested. For more info on his classes and his services as a variety artist, click HERE. Andrew is available for your corporate entertainment events, private parties, conferences, festivals, educational shows, and street fairs, tailoring each show to your specific needs. So, the next time you're looking for exceptional entertainment, think SILVER - ANDREW SILVER - your number-one choice for high-quality family fun.